This large beach has plenty of space to set up your beach chairs and hang out for the day. Calm waters are ideal for swimming and the sand is soft. 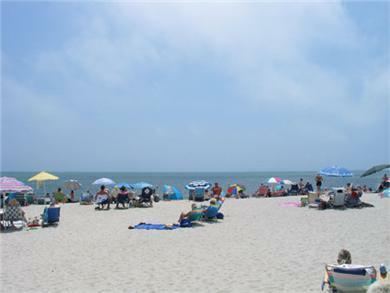 There is a large parking lot close to the beach although a short walk through a wooded area is required to access the beach. Sandy, shallow, warm water, you could walk in the water without killing your feet on rocks! Love the sandy beach! We actually saw a wedding happen on the beach right in front of us. Pretty cool!